in development over time it shows this is not enough, so this mod provides also Ammunition, new Gun-Turrets, Walls, new Accumulators, some Pipe-/Flow-Handling (Valves), some Machines and process for materials. Also new Storeages, and a way to get Alien-Artifacts without killing many of biter-spawners. 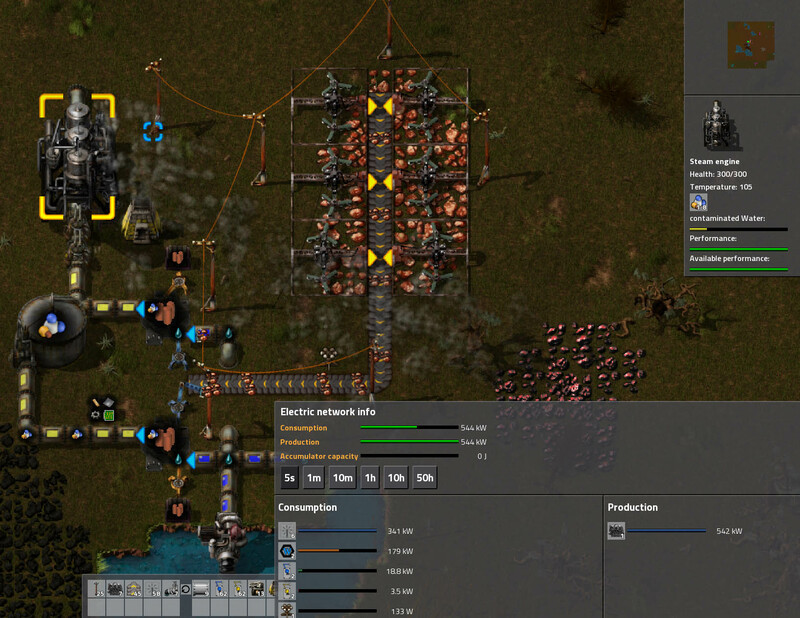 Fatmice wrote: Isn't figuring things out half the fun of Factorio? It seems that it is not clear to you all that there isn't a "progression" to Yuoki Industries. 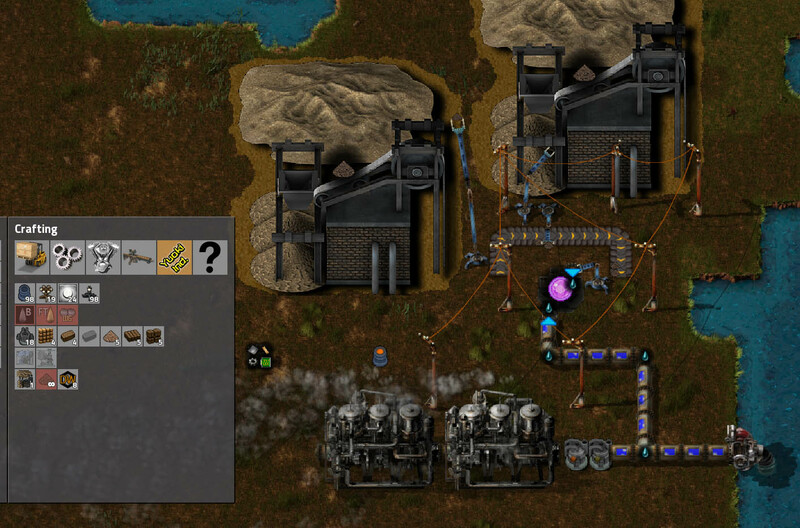 There are dependencies to certain recipes, but the rest is just bits and bobs that fill in certain needs that's not supplied by vanilla Factorio. The mod has its own economy. Figure it out and use it to your advantage. Fatmice describe perfectly the mod. No Base/Vanilla/Standard-Recipes would be changed ! all things provided as additional stuff. Try also the Addons if you like the Mod and Have Fun playing it. Last edited by YuokiTani on Sun May 10, 2015 1:18 pm, edited 75 times in total. you maybe think this is cheating, but you need 900 dirt to get 1 alien-artifact. Last edited by YuokiTani on Sat Jul 05, 2014 1:28 pm, edited 2 times in total. good work! waiting for release, be sure to test! you can use the download-link to test it. you can use this in a test-world. - the downside by adding to a game-world maybe the problem, if a recipe later change, the game not update this recipe. beside that its curently full playable. the best thing about is, the steam-turbine produces 900 kW (~76% more energy), the downside the fluid consum increse by 40%. you need surely 2 standard-boilers or 1 advanced boiler. Mod replaces vanilla recipe of alien artifacts, making small pieces of artifacts almost useless. Would be nice to have both of recipes. ohoh ... sorry for that. you get 1 x alien-science-pack directly by washing 300 dirt. I would love a mini-version of this mod with only the new lights! Or could you tell me what i can edit to only keep the lights? 1 is too easy getting technology more to resources for this style of education and longer time ..
and even then add 3 artifact research that that blue ..
2 where to get this card to create this thing is not randomized ..
- the original-plan was to search/split dirt for fossil or other mod-compatible metals (silver, zinc ...). i dont want add more mineable ressources, because not all spawn correctly in my game with different mods. - i my longplay world i would not attack a biter-nest for these small-alien-pearls ... it's for me to much work - and i won't die ... if you have a idea for change of the recipe - i wish to hear it, and i change the recipe in next version. you can use/store/handle/heaten the contaminated Water as almost normal water, but because the effect of contamination it can provide/store more energy ... see the screenshots. 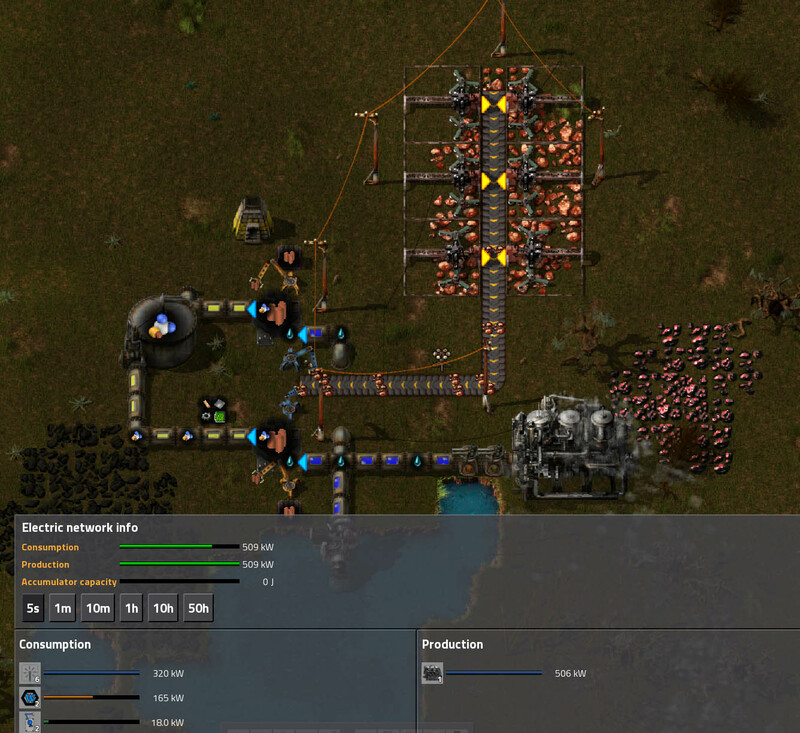 added 20% more ore effect - i think not a bad thing, but i'am can be wrong. Last edited by YuokiTani on Wed May 14, 2014 7:47 pm, edited 1 time in total. I did not understand where to find the Dirt for production .. it would be nice to do it as a resource on the map ..
for technology simply legkovat (lost interest in the game, I just people about it) at the maximum speed .. play like a bunch of enemies and pray '..
Airat9000 wrote: I did not understand where to find the Dirt for production .. it would be nice to do it as a resource on the map ..
my idea was more you dig at any point and get some dirt and fossils ... its more a chance to find something if you move enough dirt (with a excavator). To make this visible and focussing i added the Archaeology Site (icon left from arrow 2) that moves the dirt for you. okay not the best way to balance something, but i think energy is almost endless. 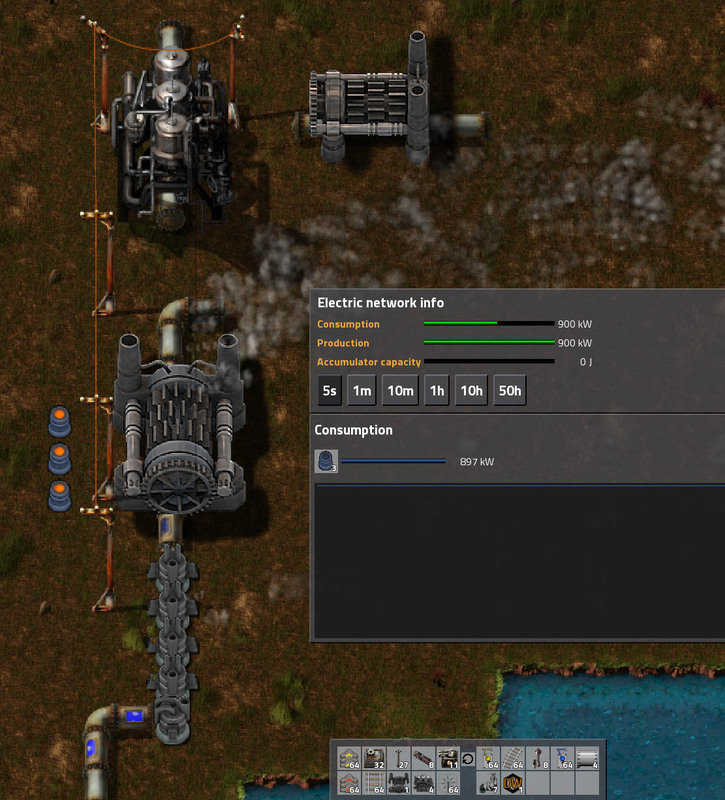 the best way to make me/you build more energy-sites (solar or steam engines) and protect them from biters - was more energy consume. it's easy to add more recipes-steps to get a product-result, but hard to balance to get not boring or angry. Last edited by YuokiTani on Wed May 14, 2014 8:39 pm, edited 1 time in total. my invent even after the configuration editor I have left a lot of things in the Inventory at the beginning of the game, ie too easy ..
Airat9000 wrote: my invent even after the configuration editor I have left a lot of things in the Inventory at the beginning of the game, ie too easy ..
please try again, i can't replicate this. There is no way to drop items with recipes. The plan was to dump this contamineted water into underground. I don't want force you to store this waste and clear it in tanks manually. 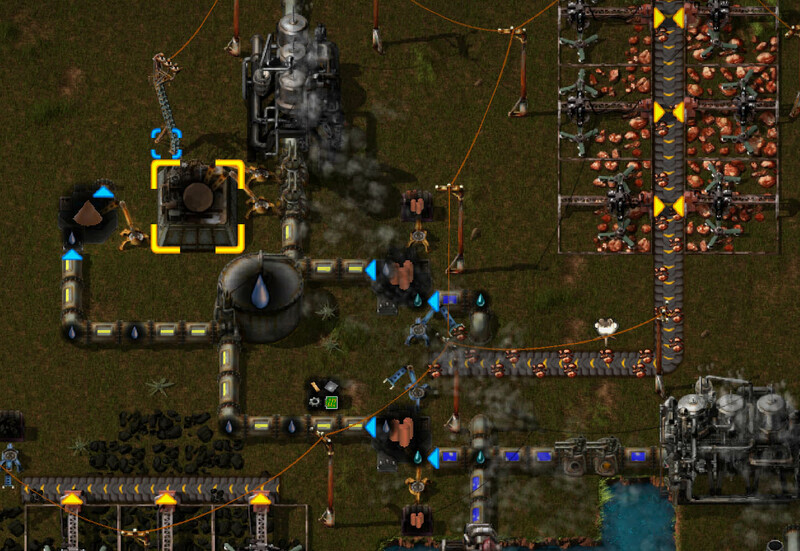 Now a new recipe allow you to dry/condense this water to mud and refine the mud to burn in boilers. all my experiments to change the fluids, heat_capacity, flows, temperatures have no realy effect in game. it is possible to make steam and power the steam-engines, but the fuel-cosume-ratio ist equal. 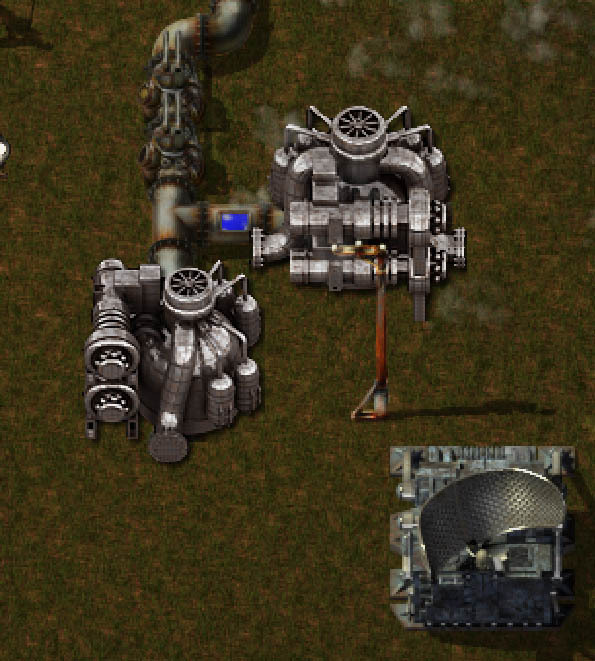 this means i can create a steam-(fluid) with 110 or 200°C, but the game need to heat this like the water. 110°C no engine runs, heat this with boiler to 115°C or more the engine runs. I do not think that this mod is causing this. I normally use a function in my mods that gives me more starting-items for easier debuging and tend to forget outcommenting it before release. So my best guess is that airat uses an outdated version of any of my mods where this "bug" exists (it do not appear in the latest releases) or another modder made this mistake in his/her mod. drs9999 wrote: I do not think that this mod is causing this. I do not know how other modders handle it, but for my mods (Treefarm and resource-monitor in your list) you can check the control.lua file; in the onInit function the line "giveItems()" should be commented out (having "--" in front of it). drs9999 wrote: I do not know how other modders handle it, but for my mods (Treefarm and resource-monitor in your list) you can check the control.lua file; in the onInit function the line "giveItems()" should be commented out (having "--" in front of it). I did not understand where to find items in the beginning is given.